Marshmallow's yearly visit to Vancouver was coming to an end and we decided to meet for one last meal. Originally, I thought that we should just try out Kinemi's Kitchen tucked away in the Fraserview area. One problem though. We tried calling on several occasions with no answer. I even tried to email them with no response. Okay, I realize it is a small operation, but honestly, pick up the phone or email me back... 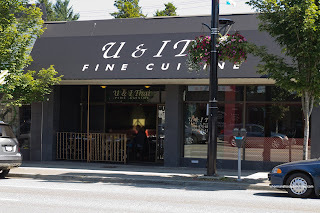 So without any confirmation that they were actually going to be open or whether they could accommodate all of us, we switched g ears and headed to a totally different place - U & I Thai. 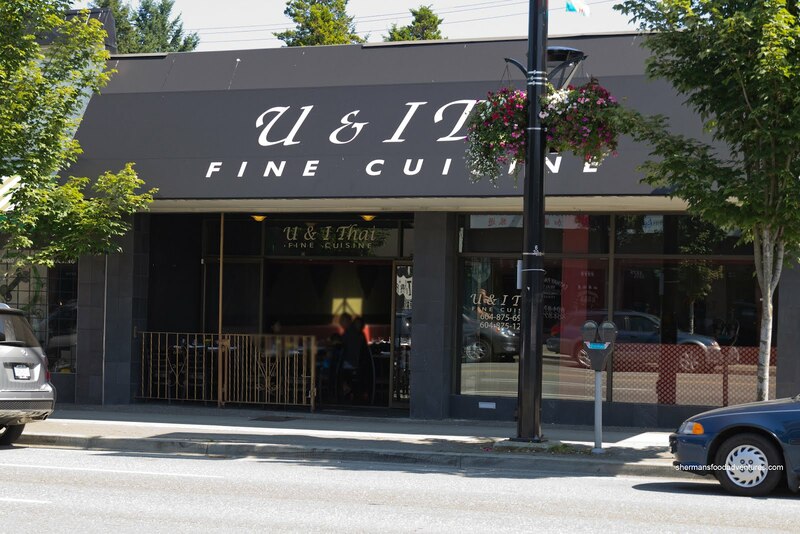 Formerly the Cambie location of Sala Thai, we remembered eating here as a group (the same people in fact) over 15 years ago! Kinda surreal actually, except with kiddies this time around. And since we did have kiddies with us, we got something that would be unoffensive in the U & I Fried Rice. 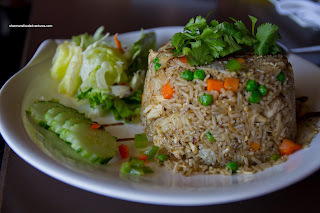 Although the portion size at first didn't look like a lot, once we collapsed the wide cylindrical presentation, it turned out to be enough rice. As seen in the photo, there was more than enough wok heat. In fact, there was some burnt bits that afforded some smokiness. There was good caramelization which added depth of flavour (which was neither too salty nor sweet). Slightly dry, there was a considerable amount of white chicken meat mixed in with the frozen peas and carrots. 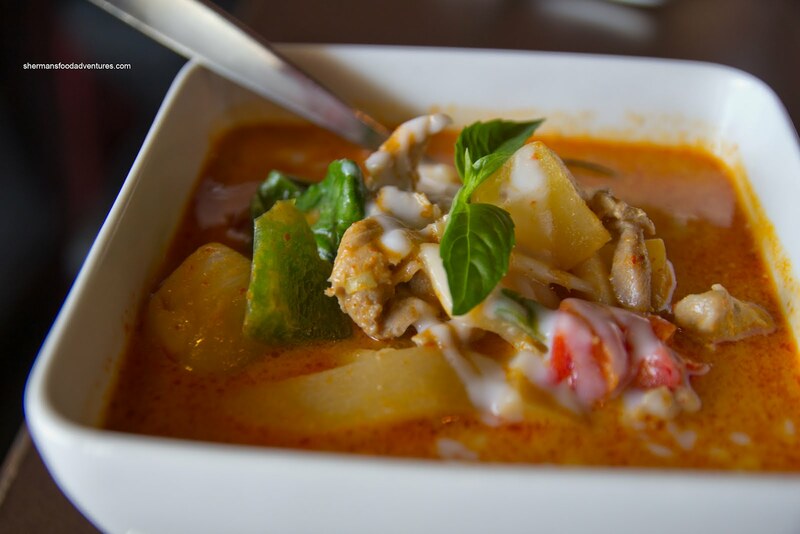 Originally, we had ordered the Chicken Green Curry. 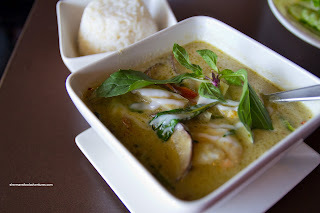 Instead, we were served the Prawn Green Curry by mistake. No biggie since prawns are worth more than chicken anyways (same price on the menu). There goes my Chineseness again... Anyways, the prawns were beautifully prepared having a good coldwater snap. We had requested a medium spice level and it was a good balance of heat while letting the other flavours come through. And those other flavours were pretty apparent, especially the shrimp paste (which I personally like). For us, we generally enjoy traditional Pad Thai prepared with tamarind, such was the case here. Hence, the flavour profile was not of ketchup, rather it was sweet and tart in a non-tomato/ sugary way. The spice level was again medium which did not overshadow the rest of the flavours. Although there was good wok heat and caramelization, there was too much moisture which made the noodles soft and clumpy. Next up was the Duck Red Curry which on the surface didn't seem substantial. However, upon digging in, there was plenty of tender boneless pieces of duck. The curry was fragrant and had a good kick. The veggies were not mushy and this went well with the coconut rice (which actually had a noticeable amount of coconut milk). 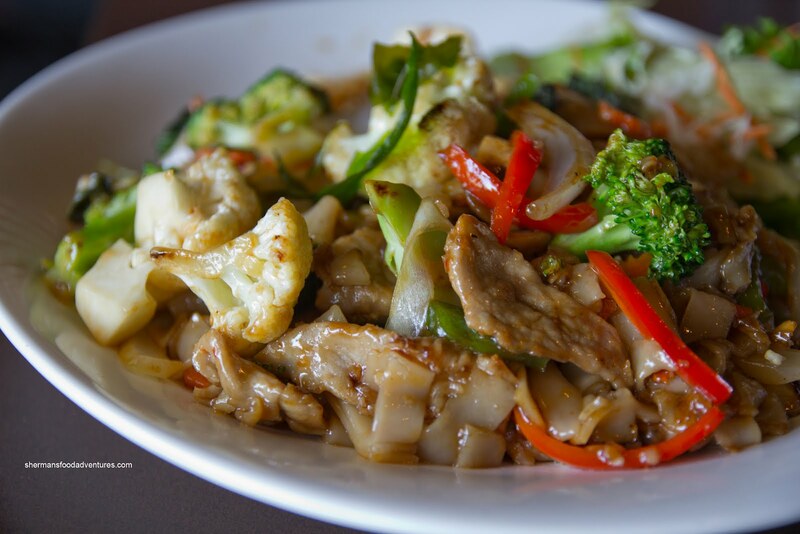 Lastly, we shared the Drunken Noodles which were flat rice noodles stir fried with pork, veggies and basil. This was quite greasy and salty, hence, it overwhelmed most of the ingredients including the noodles. 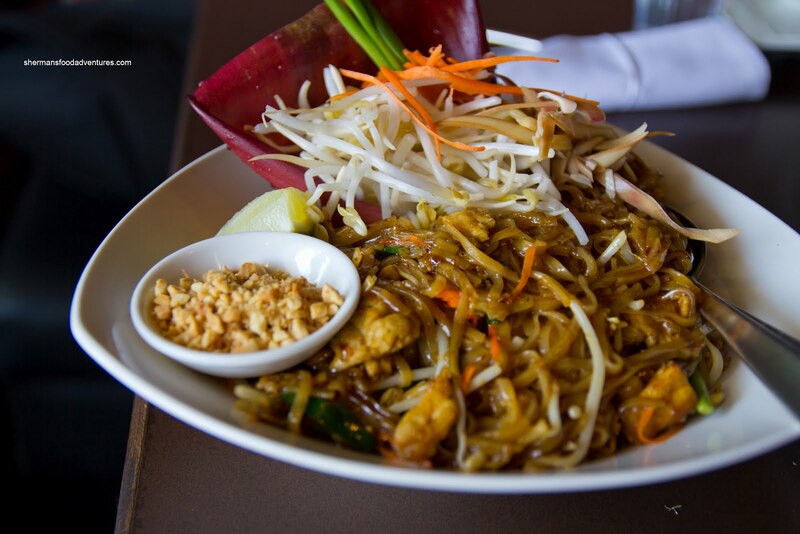 We appreciated the bounty of ingredients, but there should've been more noodles. On the positive side, the veggies were crisp and the meat was mostly tender. On the whole, prices are on the higher side which reflects their upscale interior. But most importantly, U & I Thai is above average with good portion sizes and attentive service. Kinemi's is a pretty small place. They do have a couple of tables but I think they do more take-out food. It used to be a pizza shop which explains the interior layout. @P&R Yup, drove by and yes it is small. But they could've at least answered the phone though.